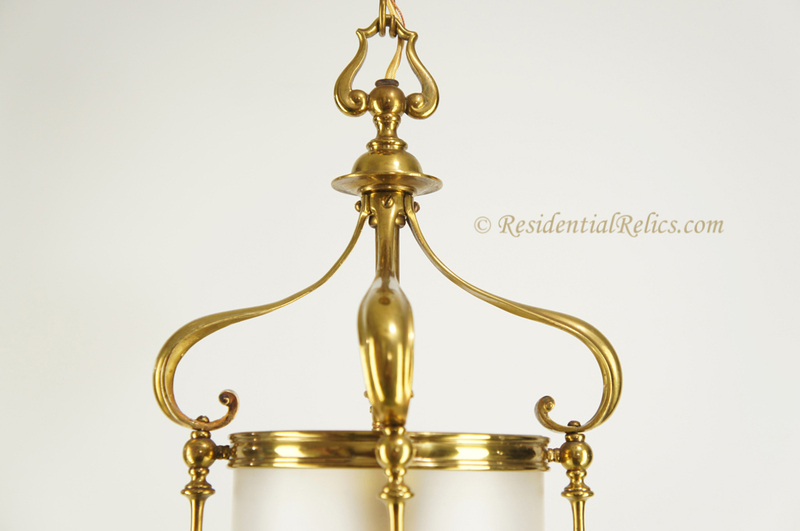 Antique English cast brass lantern with frosted glass cylinder, circa 1910sShop our online catalog for a great selection of authentic antique and vintage lighting and hardware! This item is not orderable online, because it may be too fragile to ship, or may require special shipping arrangements. Please contact us to discuss possible shipping options or to arrange for local pickup or delivery. 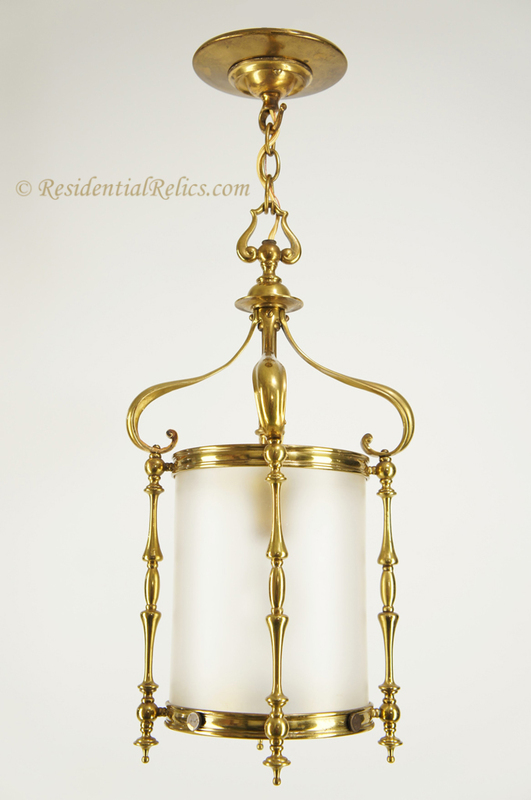 Elegant, high quality cast brass antique English lantern with frosted glass cylinder.